Though women comprise nearly half of the labor force, they are underrepresented as business owners. As of 2016, women own 38 percent of all businesses in the country. If you’re curious about women and their experiences in the small business world, check out these interesting facts. A generation or two ago, most women did not go to college. In fact, women did not attend college in equal numbers to men until 1980. However, in the interim, women have quickly outpaced their male counterparts when it comes to earning a degree. Now, women surpass men in higher educational attainment (33 percent have a bachelor’s degree or higher). These numbers directly correlate to the presence of women in the workforce. Overall, women account for 47 percent of the nation’s workforce, the largest percentage of which work in management or professional jobs. However, women only earn 77 percent of the same year-round earnings as men in the same position. What’s more, black women and Hispanic or Latina women earn less than white women and Asian women in the workplace (61 percent and 55 percent respectively compared to 75 percent and 84 percent respectively). Women business owners are represented in nearly every industry, from precision medicine, and cybersecurity to manufacturing and agriculture. They pursuits represent traditional businesses as well as cutting-edge endeavors. Collectively, American women own 11.3 million firms, a 45 percent increase from 2007 to 2016. Women-owned businesses are also seeing increases in employment, with an 18 percent increase since the US recession (while the overall employment for small businesses has declined by 1 percent). Revenues have also increased higher than the national average at 35 percent compared to 27 percent. As of 2016, women-owned firms generate $1.6 trillion in sales annually. One of the reasons women may be underrepresented as business owners is because they are less likely to be funded by venture capitalists. Unfortunately, only 5 percent of all venture capital in 2016 went to women. One could argue a number of reasons behind this lack of funding for women in business, but analysts have identified two key reasons: a lack of women as venture capitalists and inequality embedded into the funding application and approval process. By 2016, only 7 percent of women were venture capitalists. The funding offered to women by venture capitalists directly mirrors this shift in representation. Additionally, investors are statistically more likely to grant funding to male entrepreneurs than females. In a Harvard Business School study, women and men narrated the same business proposal. When women presented the proposal, only 39 percent of investors said they would offer funding. In contrast, when men presented the exact same idea with the exact same script, 68 percent of investors said they would fund the idea. In addition to being underrepresented as business owners, women are also underrepresented as business leaders. As of 2017, only 5 percent of CEOs in Fortune 500 companies are women and 20 percent of women are Fortune 500 board members. Although these numbers are low, they are the highest percentages seen in 22 years, showing positive increases to inclusivity. The Small Business Administration is the government’s official body designed to help and support small business owners. 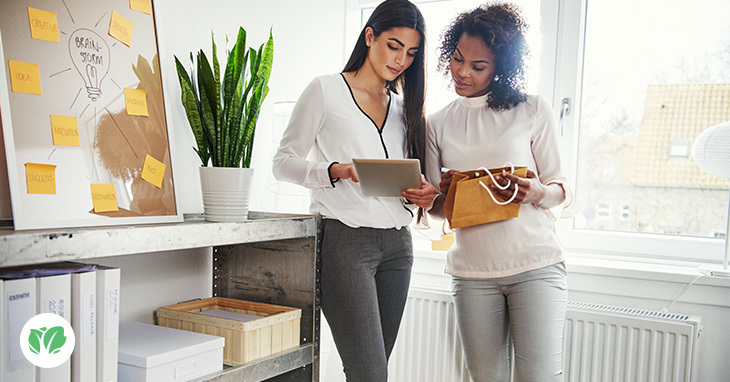 The SBA provides resources and information to all kinds of business owners, but to encourage women to become business owners, the organization offers special resources to women entrepreneurs. For example, the InnovateHER program was introduced by the agency in 2015. This program holds local contests around the country, and winners advance to the national level. The top finalists deliver a pitch in Washington, DC for a chance to win a combined total of $70,000. To win, the business idea must have commercial merit and must fill a necessary niche in the marketplace. However, it must also have a measurable impact on the lives of women or families. In addition to that program, the SBA also tries to help women through its leadership. The current SBA Administrator is Linda McMahon, who turned WWE from a small business in Stamford, Connecticut to the global enterprise it is today. Women bring unique perspectives to the world of small business, and they shouldn’t be stifled. In order to share their perspectives, however, they need to get into the boardroom or be able to start their own companies. A growing awareness of the challenges facing women entrepreneurs will hopefully help them earn the success they deserve. For more information about being a woman in business, check out our Women In Business hub!